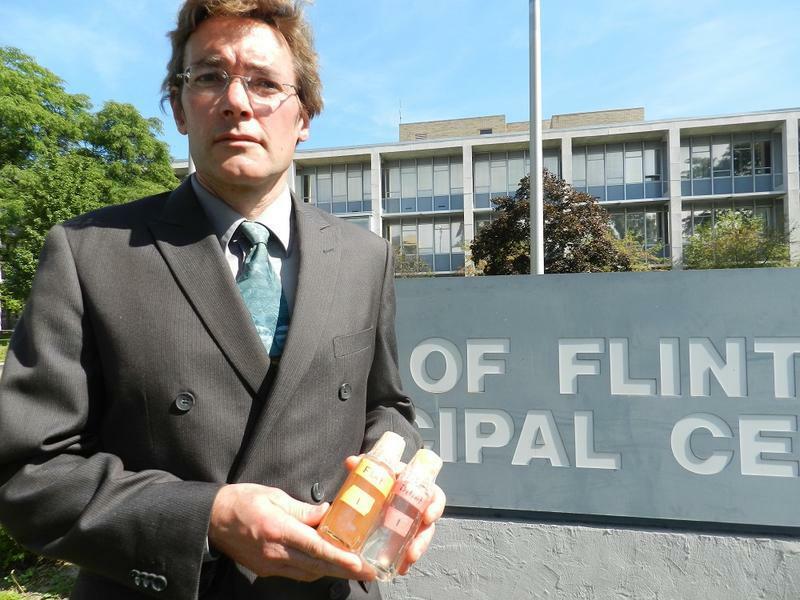 LANSING — Two years ago, Virginia Tech University engineering professor Marc Edwards helped raise alarms about shocking levels of lead in the Flint water supply — blowing the whistle on officials in Gov. Rick Snyder’s administration who tried to discredit his evidence. These days, the 53-year-old Edwards is applauding the governor for pushing reforms following the public health scandal that made international headlines and shook Flint residents’ faith in state government. Trying to escape the shadows of a crisis his administration triggered, Snyder wants to overhaul the state’s “Lead and Copper Rule.” Those standards currently mirror a federal rule that experts have long said fails to protect public health. Snyder’s wide-ranging proposal — first circulated in late November and winding through a rulemaking process — would require some utilities to replace all of their lead service lines over 20 years. It would also lower the threshold for how much lead regulators will accept in water and significantly tighten testing standards, among other changes. “It’s true executive leadership that is so urgently needed on this one particular issue,” said Edwards, who many consider a hero of the Flint water crisis. Michiganders have clamored for action following the scandal, but Snyder’s proposals may test how much they want to pay for it. Stripping Detroit of all its lead service lines could cost $450 million alone in the coming decades, its utility officials say. The proposal would almost certainly increase water rates across Michigan, unless government coughs up funding. Either way, taxpayers would pay for the reforms. “My biggest hope for getting this rule fixed nationally is that the state of Michigan goes ahead with this rule,” said Edwards, whom Snyder appointed to an advisory council during the Flint fallout. Lead is a neurotoxin that damages development of the brain and nervous system — particularly in young children. In 2016, lead levels in Michigan children increased after years of declines. Experts list lead paint and dust in pre-1970s homes as among the most common causes of childhood lead poisoning. But drinking water can make up as much as 20 percent of someone’s total exposure to lead, according to the U.S. Environmental Protection Agency. Overhauling Michigan’s standards won’t be easy. In his final year in office, the term-limited governor faces resistance on multiple fronts. Local utility officials say Snyder has a noble goal, but call his proposal overly ambitious, incredibly expensive and fraught with legal obstacles. And Republican leadership in the Legislature is raising doubts. House Speaker Tom Leonard, R-DeWitt said he’s “willing to hear the governor out” but has major questions about costs. Even advocates of the lead replacement effort acknowledge the governor is in for a fight. The chain of blunders that caused lead levels in Flint’s drinking water to skyrocket is now infamous. The city, led by an emergency manager appointed by Snyder, switched drinking water sources to the Flint River in 2014. 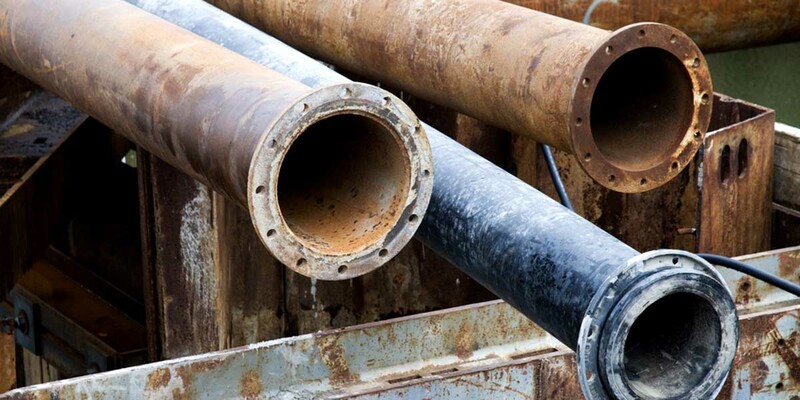 The Michigan Department of Environmental Quality approved the change – but didn’t require any treatment to control corrosion of aging water mains. Highly corrosive river water then rusted the mains, causing lead to leach into drinking water. DEQ regulators first ignored the problem, then tried to discredit whistleblowers. All the while, Flint residents drank and bathed in water tainted with lead. “We had the worst of all worlds when people were told they were being protected and their water was safe, and it was not,” Edwards told Bridge. The tragedy led to 15 criminal charges, and laid bare what experts — including some inside the EPA — describe as serious problems with federal lead standards. Among the complaints: Ambiguity in the rule allowed Michigan regulators to use flawed water testing methods that artificially lowered Flint’s results, allowing officials to game the system. Additionally, the federal lead “action level” — the threshold of how much is acceptable in water — is 15 parts per billion, even though experts say no amount of lead exposure is safe. The EPA is supposed to regularly revise the 27-year-old rule to include up-to-date science. That hasn’t happened since 2007. Even if the EPA manages a quick update, Edwards said he isn’t hopeful that it will fully address experts’ concerns because he said the agency under Administrator Scott Pruitt has focused more on dismantling regulations than strengthening them. And all recent administrations — Republican or Democrat — have struggled to update the rule without angering health experts, Edwards said. The agency is working to update the rule, Block wrote, but it had no concrete timeline for a proposal. She did not respond to a question about how the agency would eradicate lead within a decade if it didn’t have such details. Snyder said that’s why he’s taking action. “Michigan needs a rule that is smart and safe. Improving the (Lead and Copper Rule) is an important initiative for Governor Snyder in order to better protect all Michiganders now, and well into the future,” his office said in a statement to Bridge. Snyder’s proposal would not affect service line replacements in Flint, which is governed by a legal settlement, but it would ripple far across a state. Under Snyder’s proposal, water suppliers would meticulously inventory lead pipelines, and replace 5 percent each year if lead testing hit a 5 parts per billion trigger. That would include privately owned portions of water lines and pipelines that may have only lead “goosenecks” — short fittings that connect water mains to galvanized service lines. The proposal would also tighten water sampling requirements an slice the action level — the threshold requiring immediate removal of a lead service lines — from 15 to 10 parts per billion. Local water utility officials say they are committed to stripping lead from their systems, but meeting Snyder’s timeline would cost them millions of dollars they don’t have. Detroit faces particularly vast challenges. The city estimates it has more than 125,000 lead service lines and decades worth of maintenance backlogs. “We’re undergoing a $500 million capital plan, and to replace every lead service line in Detroit, it would be close to $450 million over the next 20 years,” Brown said. If neither Michigan nor the feds chipped in enough money for pipeline replacements, Brown said, the only option would be to increase water rates. That would be a major problem in a city that last year shut off water to one in 10 customers who didn’t pay. MORE COVERAGE: Detroit shut water to 1 in 10 homes this year. Yes, that’s progress. Eric Oswald, director of the state DEQ’s Drinking Water and Municipal Assistance Division, acknowledged the major challenges — particularly in Detroit. Rather than a 20-year deadline, Brown and other utility officials want leeway to replace lead lines within the scope of their “asset management plans” — the idea being utilities would do that work while they fix leaks and breaks. That slower pace would slash costs and keep utilities from digging for lines more than once, they argue. “We don’t want to be tearing up the street that just got paved,” said Wayne Jernberg, assistant manager for the Grand Rapids water system. Grand Rapids replaced 250 to 300 lead service lines in 2017 and would need to pick up the pace to as much as 1,200 a year under Snyder’s proposal, Jernberg said. Going lead-free relatively swiftly isn’t unheard of. Lansing pulled the last of the city’s 12,000 lead lines from the ground in December of 2016, capping a 12-year, $44.5 million project that ratepayers largely financed. But Lansing had a major advantage that most Michigan cities don’t: It owned the entirety of service lines, including those on private property. That allowed the utility to more easily replace the entire length of pipelines. Elsewhere, utilities must get permission permission of residents — some of whom can be tough to track down — to replace private-side lines. That can prove time consuming and costly. Snyder’s proposal would require utilities to pay for replacement of entire lead service lines. Swapping out only a portion can be worse than doing nothing at all because the replacement process can jostle free built-up lead in the line, tainting the water. Outside of Lansing, utilities also want assurances that using public money to replace lines on private property is even legal under the Headlee Amendment, a tax-related change to the Michigan Constitution voters approved in 1978. “I’d like to see a legal opinion from (Attorney General Bill Schuette’s) office on all legal concerns regarding getting control,” Brown said. The DEQ last week signed off on a draft of the Snyder’s proposal, moving ahead on a process that will take months to complete. Tiffany Brown, a spokeswoman, said the agency is eyeing March for a public hearing. The plan must also go before the Joint Committee on Legislative Rules, a bipartisan statehouse panel that could choose to delay the process. Meanwhile, Snyder’s own party mates — who have increasingly broke with his priorities — are advancing legislation that could undermine his water efforts. One set of bills, which has cleared a Senate committee, would undercut DEQ’s power by allowing industry-friendly panels to overturn agency decisions. The House — though not yet the Senate — has passed separate legislation that would bar state agencies from adopting rules stricter than those of the federal government. A slew bills that would address lead contamination in other ways — such as requiring annual testing in schools and daycares — has gone nowhere over the past year. Still, Edwards, the professor and whistleblower, is holding out hope for a breakthrough. Exhibit A on why the state will never have enough money. The residents, cities an water utilities put in these lines (which most all test in safe parameters) and now they want the state tax payers to replace them because .... it's lead. And if not lead waterlines it will be something else after that and we spend a hundred grand on homes that are worth 30! Your government at its finest! New techniques have brought the cost of replacement down to only a few thousand dollars per house. Government has it so much easier than Business. They are limited to selling only public services and can be reimbursed with taxes, licenses, permits, fees and tariffs in any amount that equates. Why aren’t our leaders smart enough to do this. Collect enough money to pay for all of our minimal housing, food, healthcare and education, and we would have very little to talk about. Does anyone else find it odd that an unelected federal bureaucracy, which shouldn't even exist in the first place, is now being touted as the go-to people in order to solve the problem that they had a hand in creating in the first place? That is a ridiculous comment. Government exists to further the "life, liberty, and the pursuit of happiness" of society's members. A well functioning bureaucracy is essential for doing this, not withstanding what right wing anarchists say! A "well functioning bureaucracy" is a contradiction of terms. Besides, if you knew any history behind when and how the Declaration was written, an entity like the EPA would be an anathema to the Founders. If the lead service leads are on private property and owned by the property owner, why is it the government's or utility's responsibility to replace those and have all the rate payers or taxpayers fund that cost??? ?